Made from the highest quality 430 stainless steel, the Italian inspired classic pyramid design adds elegance to your kitchen. This range hood features easy-to-use 3-speed electronic controls, eco-friendly LED lights and stainless steel baffle filters that will maintain their luster even after many washes. Ancona's WPL430 combines elegance, durability, and features ready to fit today's busy lifestyle! 30 inch 290 CFM Chimney style range hood in black Broan Elite Chimney range hood. This wall mounted chimney hood combines graceful curves with traditional European styling to meet today's conventional appliance and kitchen styles. 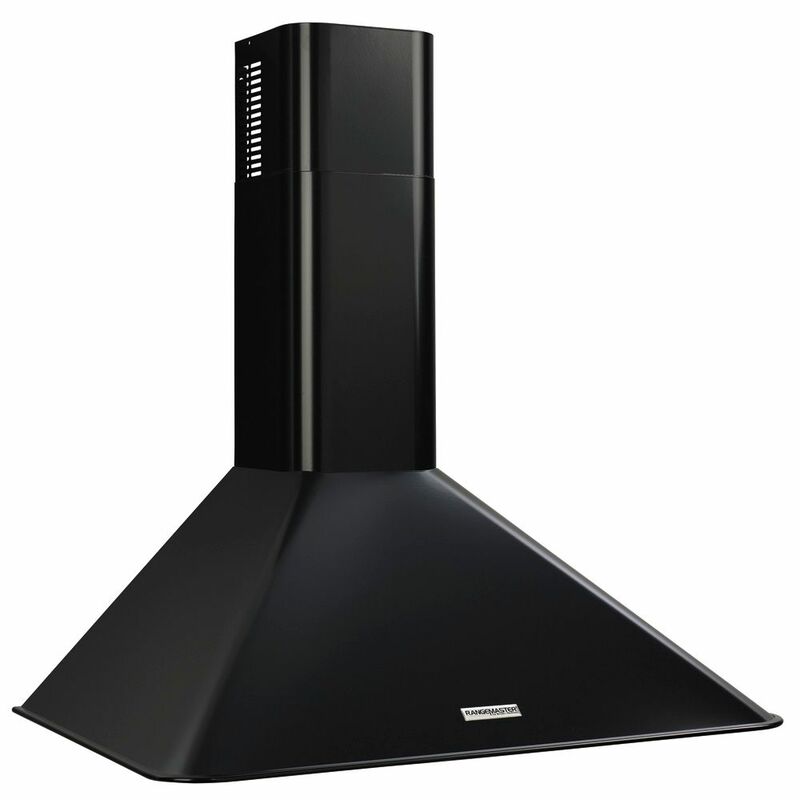 A highly affordable chimney hood, available in black to complement your dicor. 30 inch 290 CFM Chimney style range hood in black is rated 4.4 out of 5 by 9. Rated 5 out of 5 by Eric from Perfect if you're looking for a contemporary hood in matte... Perfect if you're looking for a contemporary hood in matte black, as there are very few (reputable) options in this price range. Switches feel and look slightly cheap but effective. Exact replacement bulbs are hard to find but lower-wattage bulbs w/ same base ARE compatible. Good option for the $. Rated 5 out of 5 by SQC from Excellent hood range, very quiet and efficent. Could not figure out what the red light on the front was for; called Broan it is merely decorative and u can barely see it, but it does light. Has nothing to do with the function of hood range. Performance excellent, we sear a lot of food and my house wasn't filled with the smoky smell of food after cooking. Rated 5 out of 5 by Anonymous from Great Product and customer service This fan is super quiet and looks great. The filter is very easy to pop out and clean as well. And as usual Home Depot has great customer service.